India and Sri Lanka have shared history. It is not just the mythological association between the two countries, but in the modern era too, there is a connection, thanks to migrant Tamil labourers from India in Sri Lanka. The subsequent Indian involvement in a peace mission in Sri Lanka following the LTTE flare-up, the assassination of former Prime Minister Rajiv Gandhi and the general politics surrounding the Tamil issue means that both the countries have endured a lot together. In cricket, too, the connection was somehow retained when the Tamil Nadu Ranji team played an annual contest against the Ceylon (as Sri Lanka was called earlier) national team for the M.J. Gopalan Trophy. It was an annual contest that was staged regularly till Sri Lanka attained Test status in 1981. Thereafter, it became intermittent and now it has completely been stopped. India exited the World Cups twice—first in 1979 and then in 2007—thanks to Sri Lanka. The loss in 1979 was shocking as Sri Lanka was not yet a Test side. The loss in 2007 is much fresher because it led to a wave of outrage in India. Despite these connections, cricketing ties between India and Sri Lanka in mid-1980s to early ’90s were very weak. The 1983 World Cup-winning captain Kapil Dev led a side to Sri Lanka in 1985, which ended in a lot of acrimony. Umpiring decisions and aggressive crowd behaviour towards key Indian players like Mohammad Azharuddin in particular left Kapil’s side exasperated. It seemed like Krishnamachari Srikkanth, possibly because of his Tamil roots, was the target of some biased umpiring. Due to these issues, India lost the Test series to Sri Lanka for the first time on that tour. Kapil came back and ripped apart Sri Lankan cricket, pushing back the ties for a few years. India even boycotted the 1986 Asia Cup staged in Sri Lanka for that very reason. So, for the next few years, cricket exchanges between India and Sri Lanka came to a grinding halt. Also read: Sri Lanka’s cricket icons condemn communal violence. Can Indian cricketers be as outspoken? For the next couple of years, India and Sri Lanka drifted apart in cricketing relations, after which normal services were about to resume. Sanath came to the fore when Mohammed Azharuddin led a side in July 1993 to Sri Lanka for the first full series there since the controversy-ridden tour of 1985. The Indian cricket team really sat up and took notice of Sanath the batsman when they started the tour with a three-day tour match—a warm-up fixture—before the actual series got underway against a Sri Lankan Board President’s XI at the Welagedara Stadium, Kurunegala, a town just off Colombo. In most cases, such tour matches are a footnote when the actual series ends. But in the case of this tour match, there was one man who stayed in the minds of Indians. Not just the ones who played in that match, but also those in the travelling media contingent. ‘We had been told by the local press that there is this lefthander from Matara…a crazy fellow. He is known to play some astounding, outrageous shots,’ recalled Vijay Lokapally, currently deputy sports editor at The Hindu, but on tour at the time in 1993. And that man was Sanath. He walked out to bat at number six with his side struggling at 97 for 4. And by the time he had finished, he had struck 151 off 239 balls. By the time India played against Sri Lanka again in the 1996 World Cup, the face of Sri Lankan cricket had changed. India was obviously not prepared for it. Sri Lanka travelled to New Delhi for the first away game of that tournament against their co-host. It was a gloomy day in February 1996 with thick smog covering the sky above the Feroz Shah Kotla Ground. The game itself started with a slight delay of about 15 minutes because of the smog. When India batted, the entire stadium was delirious as Sachin Tendulkar slammed yet another century in that tournament. There was a brief 10-minute rain break when India batted (in the 39th over), but the game quickly resumed and all seemed in order. The Indian team felt that they had enough runs (271–3) on the board and were confident of just running away with it. But that day, everything went haywire. Sanath, and then Kaluwitharana, took 33 off Prabhakar’s first 2 overs. India sat up and watched in shock. There was pin-drop silence at the Kotla Stadium as Indians saw Sanath’s fury for the first time… Prabhakar was packed off, only to return later to bowl two more overs for 14 runs, only this time he was bowling off-spin! Sanath had reduced the man to a sorry state. Prabhakar was booed off the ground in his own city—a sight no one can ever forget. He finished a bitter man, never to play for India at any level again. Prabhakar, in an oblique way, extracted revenge from Sanath in a few years’ time. Despite being scarred by the defeat in New Delhi, India eventually made it to the semi-finals… All the energy was focused on dismissing Sanath and his partner at an early stage. India did succeed, but then the team took their eyes off the ball… India’s chase ended in flames as after Tendulkar and Manjrekar fell, the spinners of Sri Lanka, including Sanath, spun a web. When the match finally ended, owing to crowd disturbance, a billion hearts were broken. The image of a teary-eyed Vinod Kambli walking off is still fresh in everyone’s minds. India had been humbled in their own backyard. Sri Lanka finally arrived in the consciousness of the Indian fan’s mind. Around this time, the unfinished Prabhakar story was starting to rear its head. Prabhakar… was reportedly offered US$500,000 to fix matches by an Indian bookie, Mukesh Gupta. The arrest of Gupta was after a series of exposes by Prabhakar. This was followed by the downfall of the former South African captain, the late Hansie Cronje in April 2000 when he admitted to links with bookies. Gupta had told India’s Central Bureau of Investigation (CBI) that he approached Sanath in Dubai in 1996, after the World Cup triumph. The incident was mentioned in CBI’s 162-page report on match-fixing. 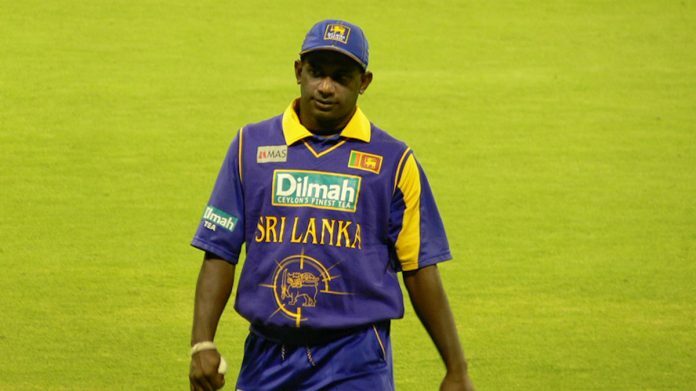 It was later revealed that Sanath had told the BCCSL officials about this offer. Sanath put all this behind him and continued tormenting India for a few more years. He had 3 more ODI hundreds against India. In 2004, he slammed a century in the Asia Cup just when questions rose about his place in the XI. But the knock that is still rated highly came in the 2008 edition of Asia Cup in Karachi when he had just turned 39. He played the lone ranger as he smashed 125 off 114 balls with 9 boundaries and 5 sixes. Sanath was playing against the third generation of Indian bowlers, but there seemed to be zero effect of the newest lot on him. Left-arm paceman R.P. Singh in particular suffered a lot as he was taken for 26 off an over. Sanath’s efforts helped Sri Lanka win the Asia Cup, yet again. This knock came right after he had been dropped from the squad. The face-off against an Indian attack prolonged his career a little longer. He had the fight for one more defining innings left in him— his last ODI century (107) against India in January 2009. This made him the oldest ODI centurion at 39, a record since broken by United Arab Emirates’ Khurram Khan. But that final century against India did not yield a win. This summed up the shift in Sri Lanka’s fortunes as India established a hold over them in all formats. It took a long time for India to shake off the after-effects of Sanath’s brutal assault on an entire nation. Bruised egos of Indian cricketers in the late 1990s are a living testimony of his batting. 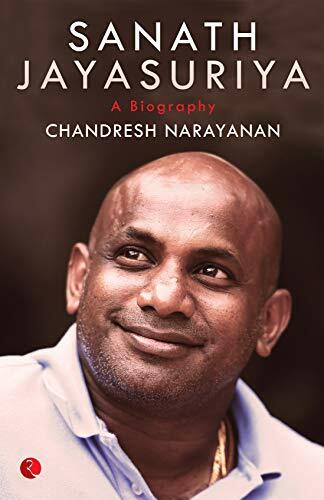 This excerpt has been published from Sanath Jayasuriya: A Biography with permission from Rupa Publications.